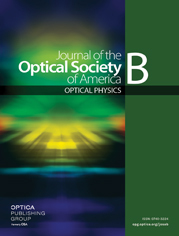 The dynamics of a soliton propagating in a single-mode optical fiber with gain, loss, and Raman coupling to thermal phonons is analyzed. Using both soliton perturbation theory and exact numerical techniques, we propose that intrinsic thermal quantum noise from the phonon reservoirs is a larger source of jitter and other perturbations than the gain-related Gordon–Haus noise for short pulses (≲1 ps), assuming typical fiber parameters. The size of the Raman timing jitter is evaluated for both bright and dark (topological) solitons and is larger for bright solitons. Because Raman thermal quantum noise is a nonlinear, multiplicative noise source, these effects are stronger for the more intense pulses that are needed to propagate as solitons in the short-pulse regime. Thus Raman noise may place additional limitations on fiber-optical communications and networking by use of ultrafast (subpicosecond) pulses.